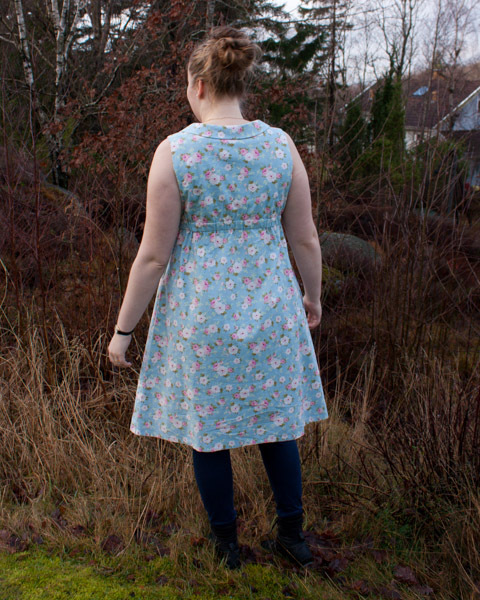 This is the 2nd Washi dress I’ve made, I made the first one about a year ago but it still haven’t found it’s way to the blog. This one has only one modification, I lengthened the bodice 2 cm above the bust dart, since I apparently have a low bust. The fabric is a medium weight cotton very different to the last one that was made in a light batiste like cotton, the bodice is lined but not the skirt. I used the Washi expansion pack version C. I love it, it is so though through, I love how the collar bubbles up the perfect amount. I think that I used 2.3 m of a 110 cm width. 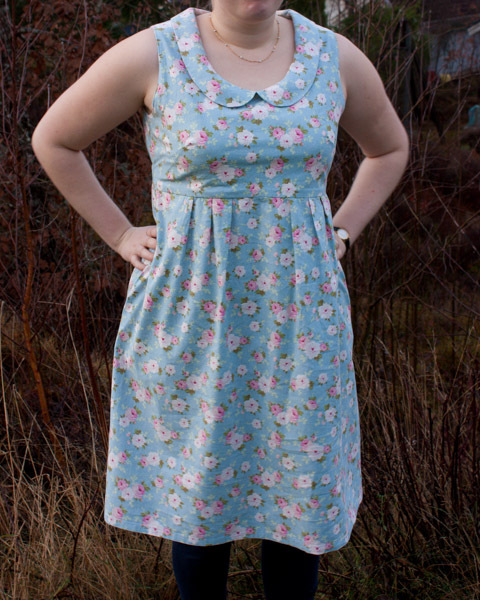 This entry was posted in Sewing and tagged collar, Dress, flowery, sew, Sewing, Washi, Washi dress on December 27, 2013 by Nicolina Lindsten. GORGEOUS job on the collar!! I can’t tell you how gratifying it is to have someone who appreciates the fact that the collar “stands” a little bit away from the dress — we worked SO hard to get that right!! 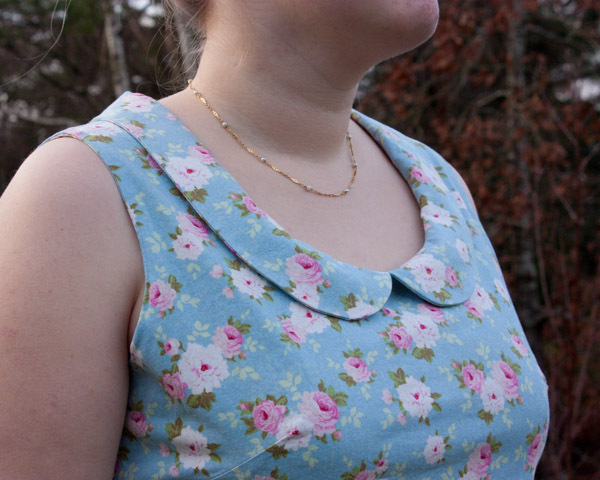 At some point I would love to do a post just on the collar — would you be OK with me using this pic (and linking back to you, of course)? Just let me know! I’d be honored, and you can use the pictures. Thank you, this made my day, It’s always something special to be recognized my the designer.